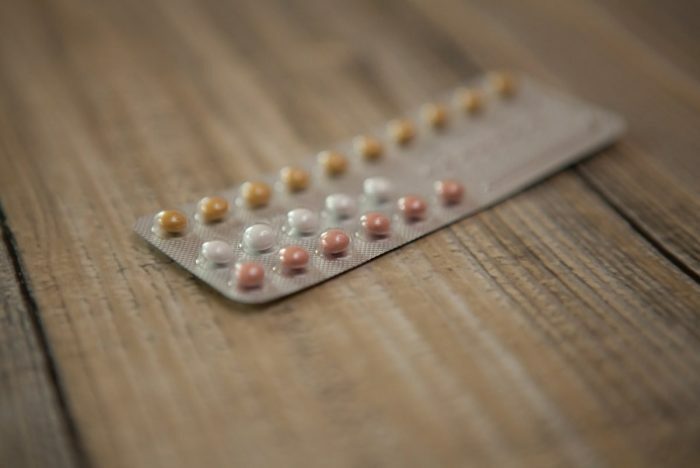 Is contraception a taboo subject? I’m not sure! My friends and I have very open relationships and so we talk about all sorts. I’m not sure if it’s common practice to openly discuss contraception? Regardless, I’m going to. It is a part of pretty much every grown woman’s life – and most mens too. We are all aware of it and the options available to us, and make decisions on the type of contraception that would suit our lifestyle. 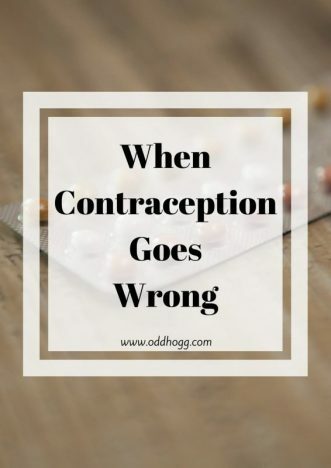 If you’re anything like me though, you don’t always know much about the possible negative sides of some contraceptions, and the mess it can make! I, like many teenagers before me, started taking the pill around 17 or 18. At the time I didn’t really think of using anything else. I’m not sure if anyone tried to suggest anything else, but if they did I wasn’t really listening. It took me over a year to find a pill that I’m happy with. One made me so hungry that I was waking at 3am with my stomach rumbling and had to have a snack. Another made my skin break out and gave me crazy PMT. Eventually I found something I was happy with though, and I plodded along with that for about 5 years. In 2012 I opted to have the contraceptive implant fitted. I loved it straight away as it meant I knew I was covered, and I had the added bonus of no period during that time. I used it for 3 years without a hitch….. and was pregnant within a week of it being removed. After Piglet was born I didn’t think twice about having the implant reinserted. It went in when he was about 10 weeks old and all was fine until September last year, when he was around 6 or 7 months old. An apparently common side effect of the contraceptive implant is spotting. Having not really experience it the first time around it had never occurred to me that I would have an issue this time. I couldn’t have been more wrong – and from September to February this year it is something I have had to content with. I have been controlling it for the last 5 months using the pill, but finally concluded that I was just going to have the implant removed and carry on with just the pill. If only it were that easy! I had an appointment to have it removed earlier this week. Having had one out before I didn’t really think anything of it. It should only take a couple of minutes. When the doctor was looking at my arm though, she opted to not try and remove it herself. It had gone in pretty deep, so in the spirit of not making a mess of my arm trying to get it out she decided to get me to return the next day and see someone who specialises in that sort of thing. I duly returned and took my place. The doctor took a while to find the implant, which wasn’t a greta start, and decided she was going to need a 2nd pair of hands to get it out. I spent 25 minutes with my arm above my head as she poked and prodded and tugged, using a nurse to push on the end of the implant to try and coax it out. Thankfully, out it came. I’ve been left very sore, with what I’m sure will be a lovely new scar and unfortunately a high risk of infection. But it is out! Difficulties in removal weren’t something I’d really considered when I had either of my implants inserted. I had taken it for granted that it would go in and out without a hitch – lesson learnt! Mummy To Dex “Was on the implant for nine years before coming off to get pregnant- never had periods and it was bliss! That British Betty “I had the implant fitted about eight months ago. No periods, settled my moods and is proving to be an incredibly effective contraception. Namely because my libido had also vanished! Completely. Prior to the implant, we had a decent amount of, erm…grown up time. Within a few weeks of having it fitted, I had absolutely no desire to fornicate whatsoever. I had the injection a few weeks before I got married. All seemed to be fine. Got my first period after the injections and that’s where it all went wrong. I never stopped bleeding, doctor said it was my bodies way of getting use to the contraceptive, it would pass. 3 month later it hadn’t stopped. Yes I was pretty much on my period for 3 months straight. 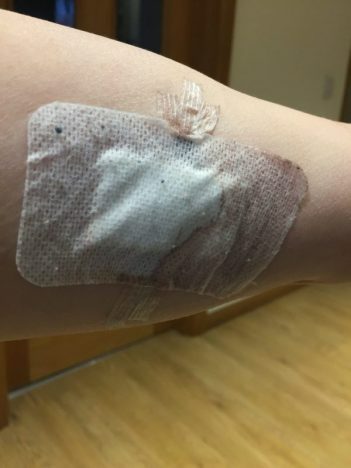 It was time for another injection….they assured me the bleeding would stop so I got the next dose and bled for another 3 months till I gave up and refuse the next dose. A month later it finally stopped having worked it out my system. I tried a few other pills but the same happened. At least this time the second I had double the about of period days I stopped. I had depression problems on the pill and my friend recently had to have her implant out for similar problems. It’s important to talk about this stuff because so many don’t realise the serious impact hormonal contraception can have on women. I told my husband we’d be using condoms until he either gets the snip or I go through menopause! My friends and I are so open about it all but I know many aren’t. It’s a big part of our lives so we should talk about it! I am still on the pill and happy with it. I know all those hormones are not good but what else can you do? I don’t really want an implant. So unfair girls have to put up with all of that! It would be great if a mail contraceptive could be developed! I had spotted from month 6 – month 10 of having my implant. Then it stopped again. Right as I was about to get it taken out! Realllllly don’t want another baby yet, so going to wait a while. I’m anxious about having it removed already haha! Typical timing! But at least it stops. It’s great when you’re not spotting haha Removal the first time around was no problem so as long as you can feel the implant on the surface you’ve nothing to worry about.